PDST Technology in Education is currently offering an online course ‘Scoilnet Maps for Geography Teachers <http://www.pdsttechnologyineducation.ie/en/Training/Courses/Scoilnet-Maps-for-Geography-Teachers.html> ’ (duration 1.5 hours), which can be completed either individually or in conjunction with a group of teachers. This course is targeted specifically at post primary geography teachers. It is available via TeacherCPD.ie <http://teachercpd.ie/> , ending on December 18th. If teachers are not already familiar with the basics of Scoilnet Maps, ‘An Introduction to Scoilnet Maps’ <http://www.pdsttechnologyineducation.ie/en/Training/Courses/An-Introduction-to-Scoilnet-Maps-online-.html> (duration 1 hour) is also currently available online and should be completed in advance of the more specialised course for geography teachers. 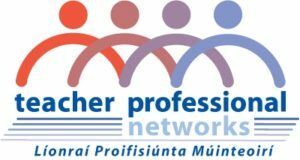 This course is also available via TeacherCPD.ie <http://teachercpd.ie/> , ending on December 18th. Both courses may be suitable for ‘additional hours’ (Croke Park hours), subject to school approval.